My wife was brought up on goat’s milk. I wasn’t. In fact even after we got married and had it given to us on a regular basis I still had a very difficult time drinking it, or eating things baked with it. After all, it was goats milk and I just knew it was different from the cow’s milk I grew up on. It didn’t matter how much I fussed about it, we were moving towards using goat milk exclusively in my wife’s kitchen. It wasn’t easy, nor did I give in without a fight. But I lost. And that’s OK. Especially with all the questions surrounding the safety of our food supply today. I can’t honestly tell you the last time we bought milk from the store. I don’t think I would be off to say it’s been at least 10 years. 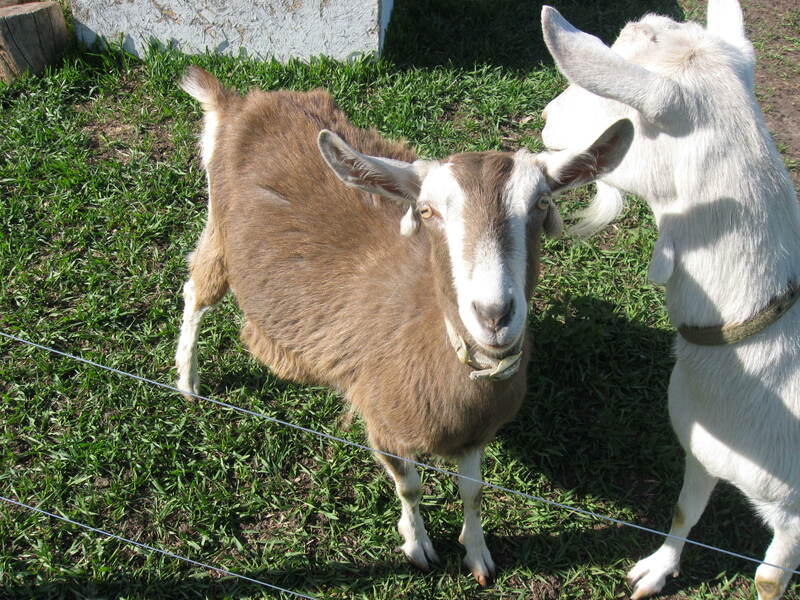 In fact, pretty much all of our dairy products come from the goats. In future posts I am going to ask my wife to do a couple of articles on the different things she makes and how you can do it also. 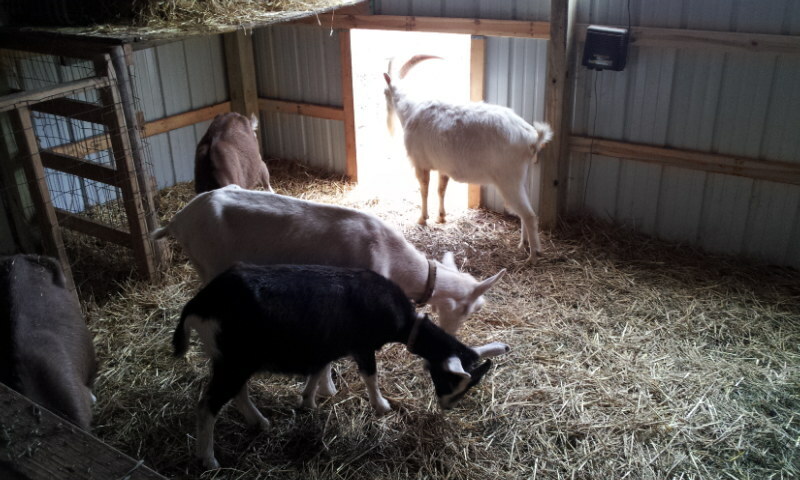 I’ll also get more into the day-to-day with the goats including the chores, pasture, fencing, etc, etc. 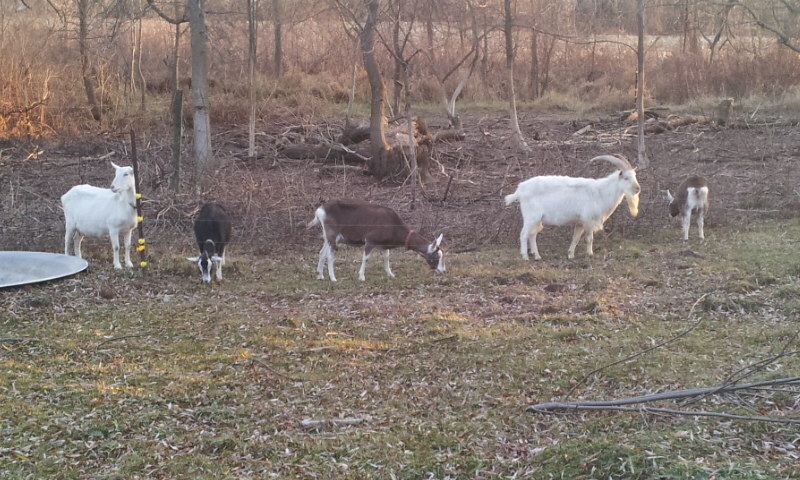 Here they are, the matriarch of our herd is a Saanen named Brownie (she has a brown collar). I believe she is about 7 years old, maybe 8. She can give a gallon of milk a day and is the work horse of our herd. Her oldest daughter is more Toggenburg than Saanen and is named Little Brown (that one makes sense). She can come close to a gallon of milk a day as well. 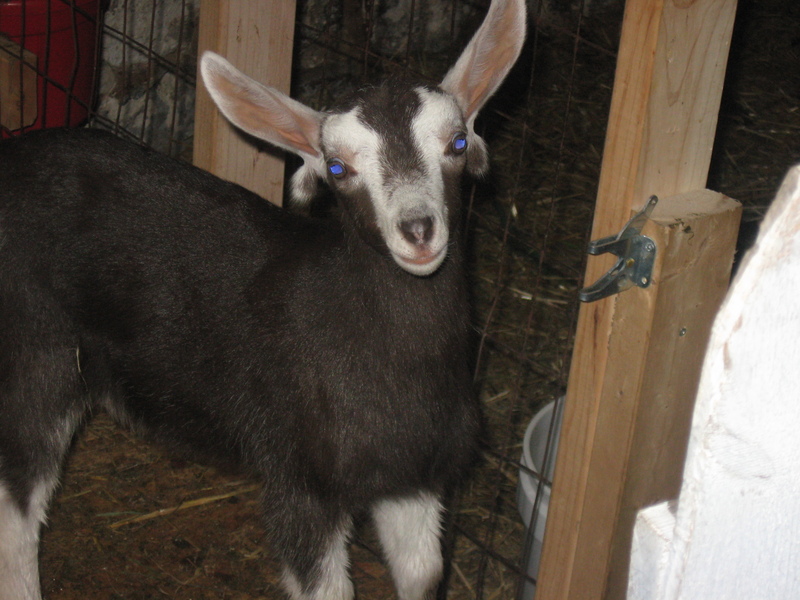 Our third doe is also more Toggenburg than Saanen and is named Teardrops. She received that name because if you look close, her waddles come off of her ears like…teardrops. She is the friendliest and personable goat I have ever been around. She is also the goat in the picture at the start of this article. And last but not least is Blossom. She is still struggling to gain weight. When she was born two springs ago she was infected with some liver flukes. 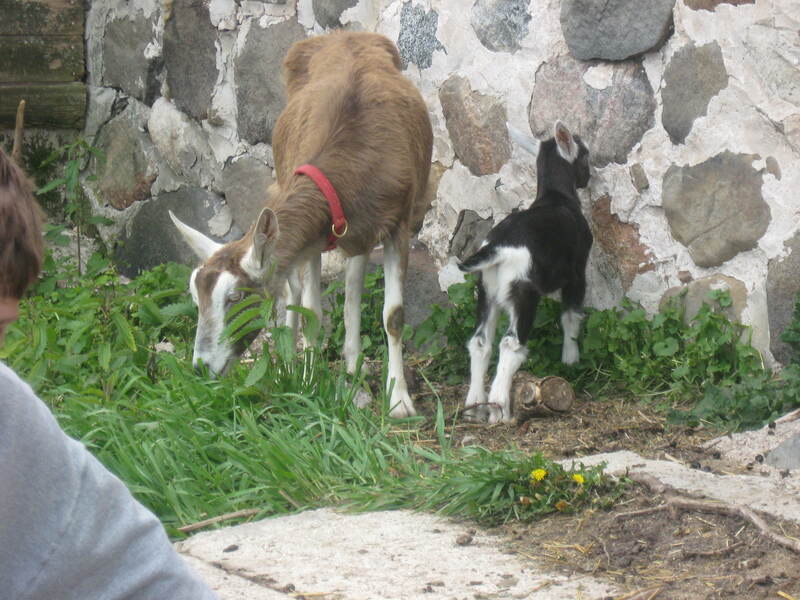 That spring was very cold and wet and the goats were on pasture eating mostly grass. From what I was told the flukes infect the snails, which then get secreted in that slime trail left by the snail. 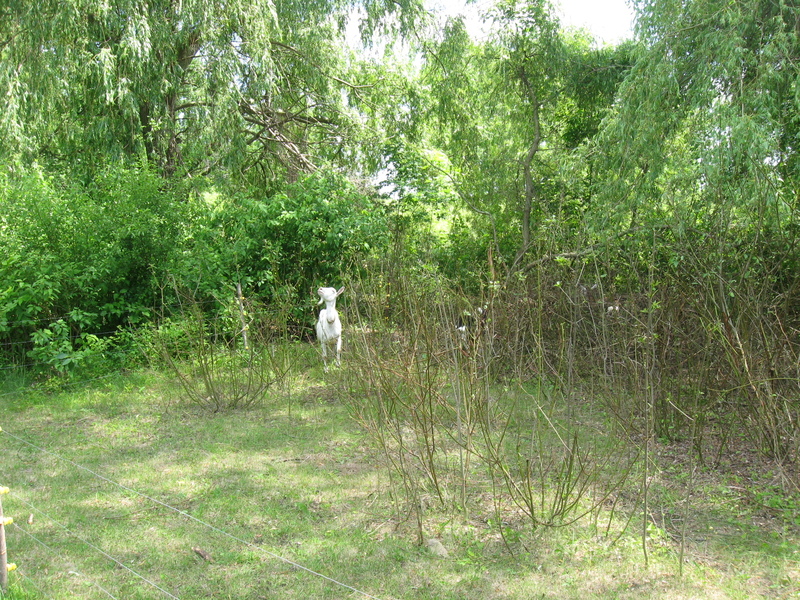 Then comes along a goat and eats the slime trail along the blade of grass, and voila…you get the fluke! The flukes killed her siblings and almost took her as well. Thankfully she pulled through. She is the one in front. She is still very black but is starting to take on the brown Toggenburg color. You can also see our Billy. I like the Saanen breed so when I found him on Craigslist I drove half way across the state to get him! The above picture was taken this past December when they were all together to, well …do what goat’s do. Hopefully this spring we will have quite a crew of kids around to show off. Brownie and Little Brown will likely have 3 kids each. Teardrops may have 3 definitely 2. If Blossom is pregnant she will hopefully only have 1 or 2. Here is a pasture picture. You can see where the goats have eaten the bark off the trees. They will choose bark over just about anything. Some of the trees I have fenced off. When I built this pasture it was so they would clear it out. It is a low area just full of brush. It was full of brush anyways. Now it is starting to look pretty nice. Below is what the area above looked like last summer. They can eat the brush! Well those are our goats. At least for the next couple of months. If you have any goat questions or stories please let me know. If you have an article to send me I would be glad to post it for you as a guest blogger! Also, don’t forget to leave your email in the box at the right so we can stay in touch.